For an organisation to be accredited as a living-wage employer, it must pay its staff £9 per hour. In London, this rises to £10.55 per hour. The University pays workers who are directly employed by it at least this much, but it cannot be accredited this title as not all of its contractors are paid this fee. In a survey sent to publicly-funded organisations (including universities, schools and hospitals) in Birmingham, Byrne found that only one in five have living wage accreditation. He also found that two-thirds of these organisations do not intend to pay all of their staff and contractors a living wage, including UoB, Aston University and a variety of other institutions. Byrne described the results of the survey as a ‘disgrace.’ In a Tweet posted on April 4th, Byrne said that ‘poverty pay is rampant’ in the West Midlands as 571,000 workers (1 in 4 people) are paid less than £9 per hour. According to the Living Wage Foundation, companies that pay a living wage benefit in terms of their reputation, staff motivation and staff relations, as well as being fairer on employees. In addition to this, they have found that 93% of University students want to work for living wage employers. According to The Times, Professor Sir David Eastwood has an annual salary package of £439,000, making him the highest-paid Vice-Chancellor of any Russell Group university. 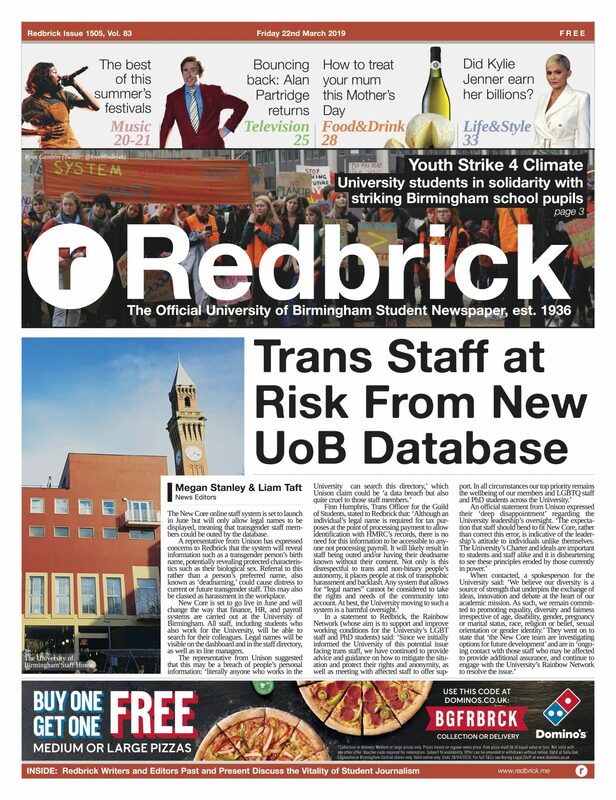 A University of Birmingham spokesperson told the Birmingham Post: ‘We have committed to and continue to pay at least the voluntary Living Wage for staff directly employed by the University.